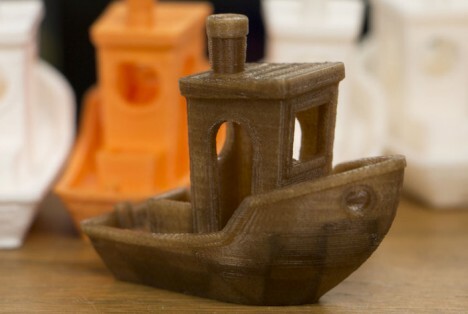 As 3D printing grows ever more popular and people use at-home devices like 3D printing pens and mini-fabricators, we’re going to encounter a pretty serious plastic problem. Plastics already place a heavy toll on the environment, but the plastic filament used to fabricate stuff at home is rarely recycled. 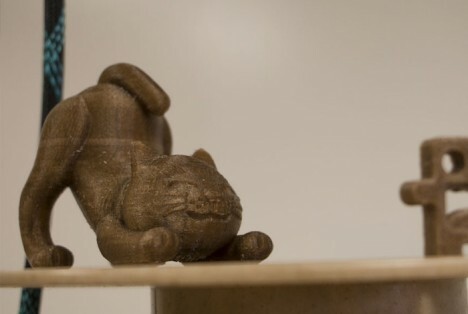 Now, in comes Wound Up, a 3D printing filament made of recycled coffee grounds. 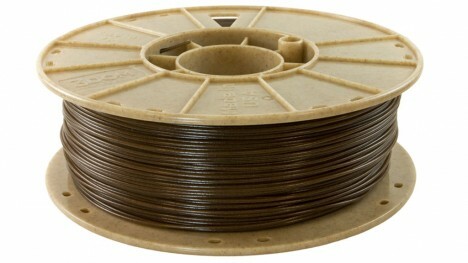 The product from 3Dom is actually a coffee-filled wire filament. It’s not completely free of plastic, but its plastic content is significantly lower than comparable filaments. Wound Up can be used in any printer that accepts PLA, and it creates objects with a very unique look. Things printed using Wound Up look almost like they’re carved from wood. Their rich, deep color is reminiscent of a dark wood while the natural coffee material gives them a natural-looking grain. The inventors say the products created with Wound Up are just as sturdy as their plastic counterparts. One of their example projects is a drinking cup made of coffee grounds. Even the spool that holds the Wound Up filament is eco-friendly. The Eco-Spool is made of plant sugars and will decompose much quicker than traditional plastic spools. This type of recycled and eco-friendly material could be a real game-changer when it comes to the environmental impact of 3D printing, which is something we should all be concerned about as the practice edges closer and closer to being a routine in-home thing. See more in New Materials or under Science. September, 2015.